Ozark Trail Oversized Tension Chairs - Set Of 2 - Only $20! You are here: Home / Great Deals / Ozark Trail Oversized Tension Chairs – Set Of 2 – Only $20! 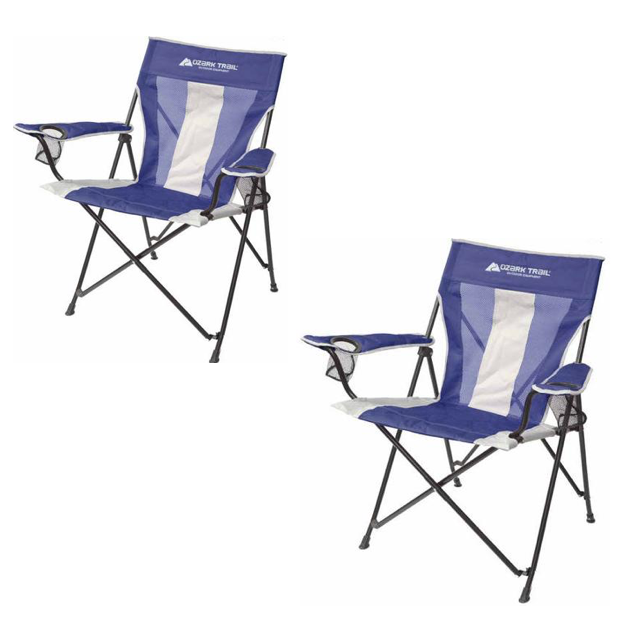 Ozark Trail Oversized Tension Chairs – Set Of 2 – Only $20! Walmart has these Ozark Trail Oversized Tension Chairs – Set Of 2 – for Only $20! Order online and pickup in store or FREE shipping on orders $35+!